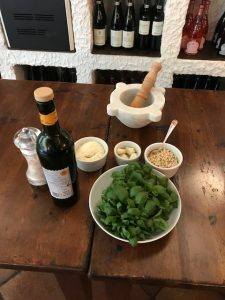 A morning of cooking school to discover the secrets of traditional Ligurian dishes and homemade pasta. In addition each participant will receive the form containing the recipes and instructions for preparing the dishes presented. The morning ends with a lunch in which the dishes presented in the cooking school will be served with the combination of a Ligurian wine.